This text provides learning strategies to effectively teach adolescents. The strategies instructional approach emphasizes thinking processes, self-regulation, and problem solving. This book is perfect for any secondary methods course and belongs on the desk of every professional educator. The text presents a wide range of general strategies that can be applied to all content areas. The goal is to identify strategies that are effective so the student learns and generalizes them. You'll also find new information on memory, note-taking, test-taking, social skills, transition, and collaborative skills. The authors incorporate contributions from solid research and the best practices in adolescent education and psychology into this edition. The text introduces new topics and raises new issues. 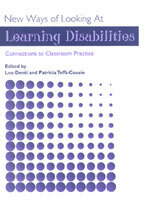 The authors present current and well-grounded classroom practices based on their expertise in intervention research.